Visits to the museum are by appointment only. To schedule one call 504.214.6632, email info@guardiansinstitute.org, or complete this online form. The Donald Harrison, Sr. Museum exhibits Mardi Gras Indian suits, photographs, and other artifacts related to New Orleans music culture. It also hosts educational programs, performances, seminars, and special events. 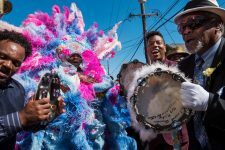 The museum is a program of the Guardians Institute, a nonprofit founded and directed by Herreast J. Harrison, wife of the late Donald Harrison, Sr., Big Chief of the Guardians of the Flame Mardi Gras Indians. Donald Harrison, Sr. was a prolific reader who made a point to share his cultural knowledge with young people in New Orleans. To honor his memory, the Guardians Institute delivers an array of services including regular book giveaways—since 2006, it has provided underserved schoolchildren with more than 40,000 new books. Today, the Guardians of the Flame mask under the leadership of Maroon Queen Cherice Harrison-Nelson, daughter of Herreast and Donald Harrison, Sr. 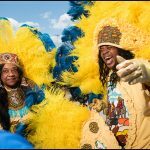 Since 1998, Harrison-Nelson has also run the Mardi Gras Indian Hall of Fame, an organization that honors Mardi Gras Indian culture. 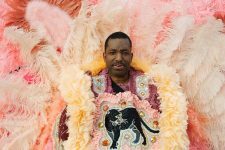 The Hall of Fame has produced a series of books profiling individual Mardi Gras Indians that are an invaluable resource for learning about the masking tradition. The Harrison family includes generations of celebrated artists. 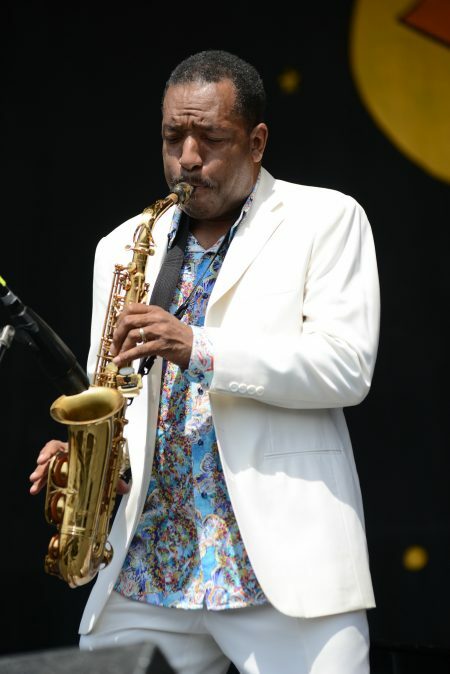 Donald Harrison, Jr. is a jazz saxophone heavyweight who has toured and recorded with Art Blakey and Miles Davis among many others (during a stint in Brooklyn he used to talk music with a young neighbor, Christopher Wallace, who would later become known as the Notorious B.I.G). 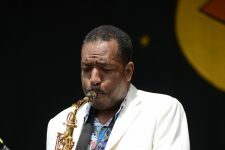 Harrison is also Big Chief of the Congo Square Nation Afro-New Orleans cultural group. Christian Scott, also known as Christian Scott a Tunde Adjuah, is a grandson of Donald Harrison, Sr. and nephew of Donald Harrison, Jr. Scott, a trumpeter, composer, and producer, is a leading light in the jazz world today. He is also actively involved in the Guardians Institute, and has given free music lessons to children in the facility named for his grandfather. Herreast Harrison narrates a look at the Guardians Institute, including the Donald Harrison, Sr. Museum in 2017. Film by Jose Cotto & Agasthya Pradhan-Shenoy. Herreast Harrison speaks about honoring her late husband Donald Harrison, Sr. through the Guardians Institute and a museum next to her home in the Ninth Ward in 2015. 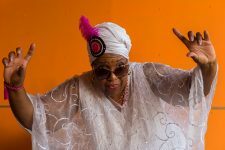 Cherice Harrison-Nelson, Education Consultant for the Donald Harrison, Sr. Museum, Maroon Queen of Guardians of the Flame, and Curator of the Mardi Gras Indian Hall of Fame discusses the Mardi Gras Indian tradition and her work in 2012. Cherice Harrison-Nelson, Maroon Queen of the Guardians of the Flame, at the Donald Harrison, Sr. Museum in 2016. © 2016 Jeff Gates. Photo by Jeff Gates. From 2016, Spy Boy Horace of Creole Wild West, Christian Scott aTunde Adjuah, Spy Boy Rick, and others honor Edwin Harrison, brother of Big Chief Donald Harrison, Dr., at his funeral. From 2013, Donald Harrison, Jr., Big Chief of the Congo Square Nation Afro-New Orleans Cultural Group. Donald Harrison, Jr. performs in 2014. Courtesy of WWOZ. Photo by Leon Morris. 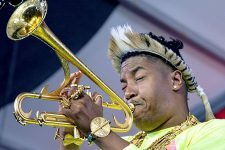 Christian Scott aTunde Adjuah plays one of his signature horns in 2018. Courtesy of WWOZ. Photo by Kichea S. Burt.